View recorded sessions from the March 21-22 Budget and Finance Symposium here. On March 21-22, 2019, staff who are engaged in strategic budget development and financial management across campus came together to participate in the inaugural UC Davis Budget and Finance Symposium. This event was designed to help participants understand how to find a balance between accomplishing goals today and planning for the future. Participants also learned how budget and accounting concepts come together in the campus financial planning and reporting processes. Click on your topic on the right to jump to what you're looking for! Gain a deeper understanding of why we budget, what a budget is, how to determine the right level at which to plan, and how budgets support strategic plans and unit/program goals. Learn about a number of budget methods and models used in higher education and how they can be applied or understood in the context of your unit. In this session, we review the basic accounting principles that guide the university’s financial policies and procedures. We also discuss GAAP, GASB, NACUBO, double entry accounting, and matching principles. Learn the attributes that make up the chart of accounts and the importance of each within financial reporting. In this section, topics such as UC account, UC fund, Higher Education Function Code, and object codes are covered. Learn the definition of internal controls and how controls are an integral part of the financial operations of the university. In addition, receive an introduction to our ledger review system, including Analytical Ledger Review (ALR), Management Ledger Review (MLR), and Quarterly Ledger Review (QLR). In this session, we touch on internal and external audits and fiscal officer responsibilities and resources. Travel and entertainment best practices are also covered. In this session, we used interactive scenarios to work collaboratively with colleagues from across the campus to identify, learn, and practice techniques for developing budget plans. This session emphasizes the influence of your environment, stakeholders, and decision makers in how a budget plan is developed and evaluated within the context of an organization.  Learn about the financial statements and financial schedules produced by the university and how the work done across UC Davis supports this effort. In addition, learn about the fiscal close process and related timelines for units and the central office, as well as tips for getting ahead of this process to avoid the time crunch. In this session, we also spend some time understanding the composite benefit rate and the indirect cost rate and how this works at UC Davis. Learn about how accounting concepts and budget concepts come together to support both financial planning and the analysis of financial outcomes. In this session, we also touch on Aggie Budget and the importance of KFS Organizations. Fill out the form below to be notified when the next symposium comes around! If you have questions, please contact Michele Hassett.